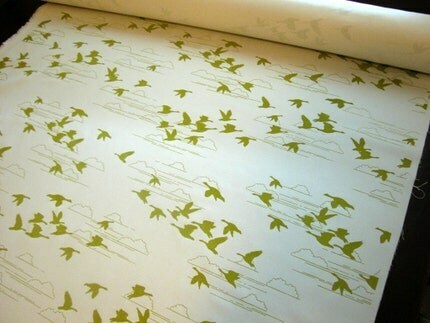 lara cameron's (of kirin & co) beautiful hand screen printed fabric in kari (wild geese). great color! i need it in pillow form immediately!